“Really Brite” Tape increases visibility and safety in dark environments by reflecting light from any nearby light sources. This tape reflects four times more light than standard reflective tapes, so it will definitely get noticed. 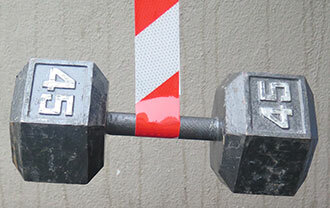 The tape’s aggressive adhesive sticks to almost any surface, so you can use it wherever you need it, indoors or out. Plus, installation is easy. Just peel off the backing and stick the tape to a clean, dry surface. No need to worry about costly downtime. 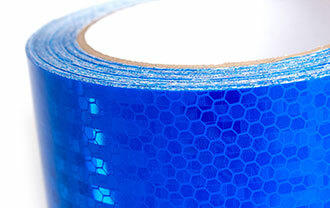 “Really Brite” Tape features a honeycomb pattern and reflects 4x more light than other reflective tapes. 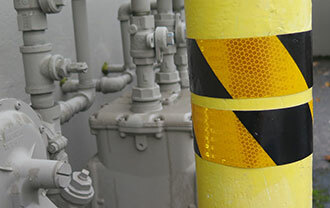 This tape can hold up to the elements in both indoor and outdoor environments. “Really Brite” Tape will adhere to almost any surface. Really Brite Reflective Tape - Engineer Grade Reflectivity!